Join me as I help you get dinner on the table every night for your family. I love to share decorating ideas, gardening tips and amazing recipes! 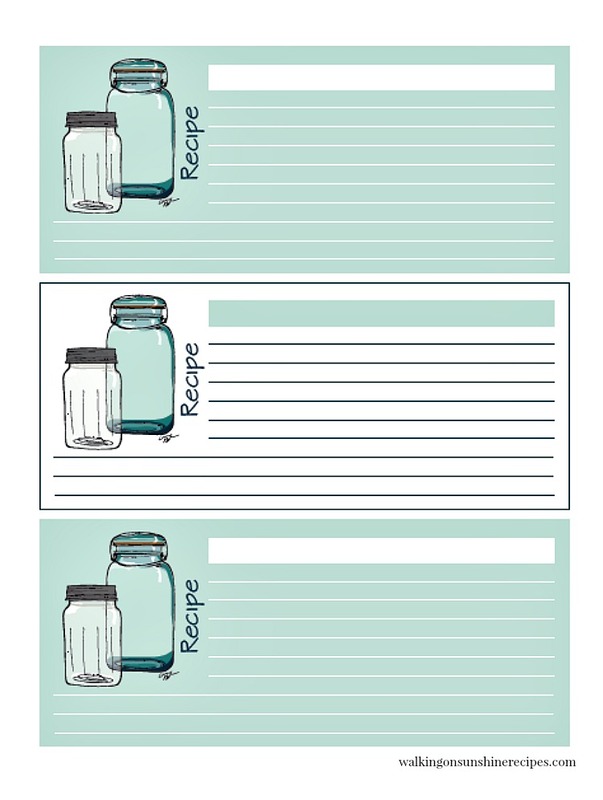 My love for mason jars continues with new printables! 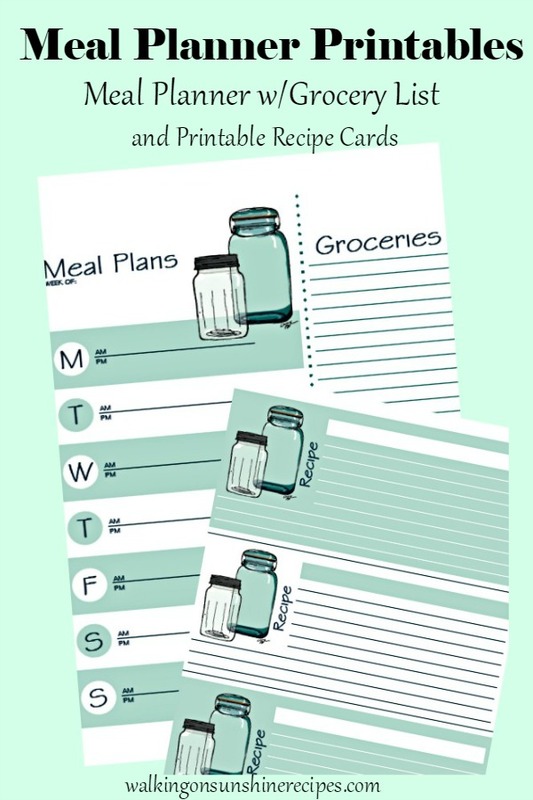 Included this week are a new printable meal planner with grocery list and recipe cards. I’m extremely excited about the recipe cards. Oh wait…do you still hand print recipes? 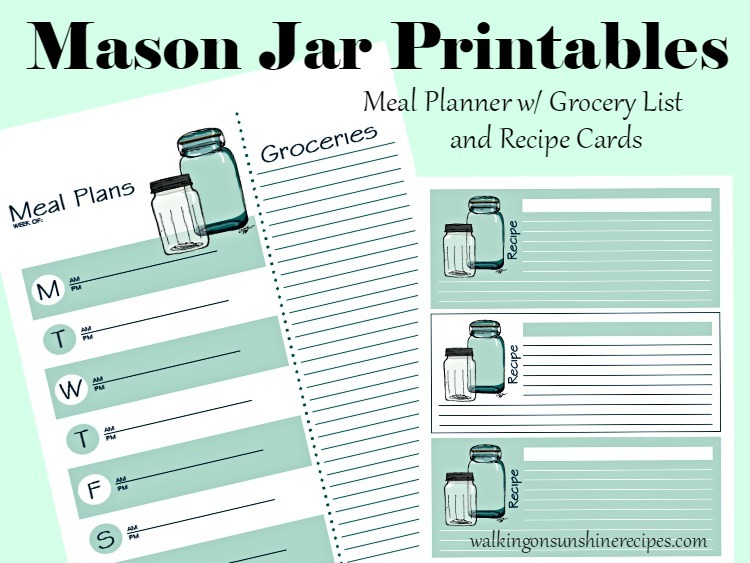 To continue with our Ten Year Blogiversary of Walking on Sunshine Recipes, I have a new set of Mason Jar Meal Planner with Grocery List and Recipe Cards just for you! You all know how much I love mason jars, right? 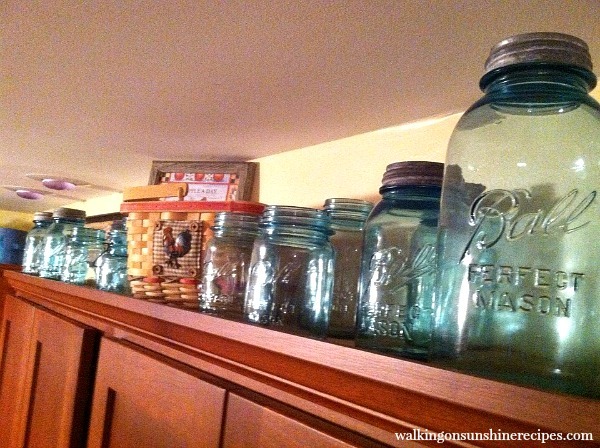 I mean our whole kitchen was designed so I could display my collection of antique Ball Mason Jars. So it would only seem obvious that my new site design…wait a minute, you didn’t notice it? The whole blog has a new look and theme…mason jars! Back to what I was saying, to go along with the new site design, I have a whole new set of meal planners with grocery lists and recipe cards for you! What Exactly is Meal Planning? Meal planning is something everyone talks about lately but what exactly is it? Meal planning is whichever way you organize yourself to cook a meal…usually dinner. It’s the plan you make before you go grocery shopping or a list of what you want to prepare and serve meals for your family. I’ve been planning out my family’s meals for years way before I started blogging and way before people actually talked about planning out a weekly dinner recipes for their family. When my kids started getting busy with after school activities and other events, I started created a weekly list on a calendar of what I would make for dinner each night of the week. The list helped me know what to cook for my family every night and how to be organized so I wasn’t scrambling at the last minute to get something on the table for dinner. It also helped me know what to purchase at the grocery store and not overspend. Get inspired! Spend time looking for easy recipes you know your family is going to love and want to eat. Ask your family what they want to eat for dinner. What are their favorite recipes that you already make for them? Once you have your weekly meals planned, put together a grocery list and go shopping! 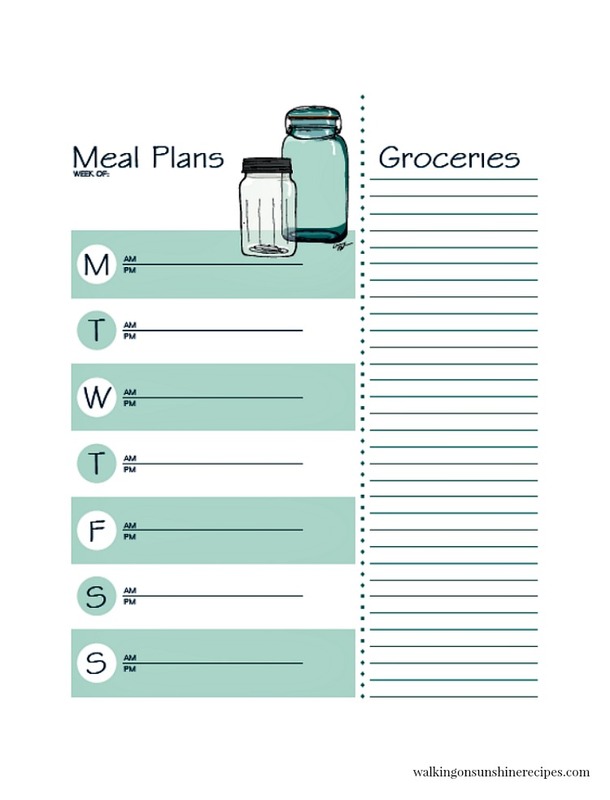 The new Printable Meal Planner with Grocery List are available to my newsletter subscribers only. It’s easy to sign up! Just click HERE or on either photo and you’ll be able to add your email address. Please remember to check your email for the CONFIRMATION email that you will need to click on to CONFIRM your subscription. If you do not open and click on that email, I cannot add you to my list. So make sure you check your spam folder or junk folder just in case the email went there. I have thousands of subscribers who never confirm and I hate that they miss out on the fun things I share every week with my newsletter. If you are a subscriber already, CHECK YOUR EMAIL! I sent out the link this morning for you to print the new meal planner and recipe cards! 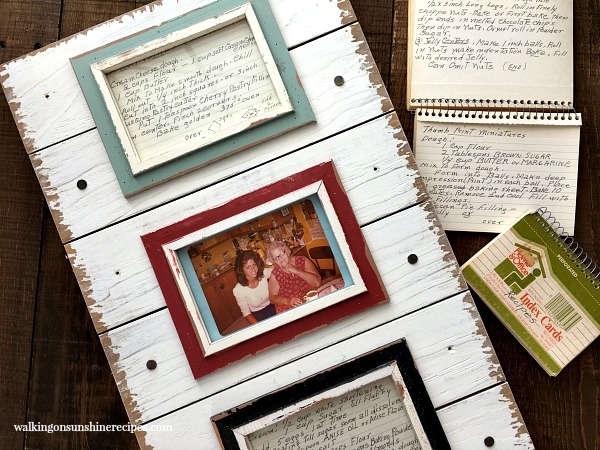 Before you go, why don’t you check out this great DIY project for framing Old Family Recipe Cards. This makes a great Mother’s Day or Bridal Shower gift too! Originally from Queens, NY, Lois now calls northeastern PA home. You can find her blogging over at Walking on Sunshine where she shares a little of her life, but more importantly what’s for dinner at her house tonight. Join my free email list to receive my Good Morning Sunshine Breakfast E-Cookbook!